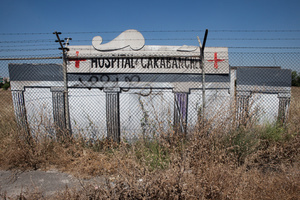 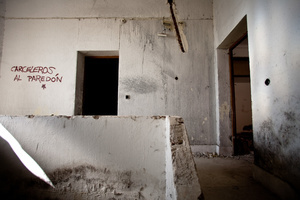 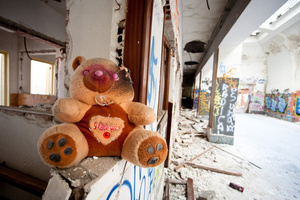 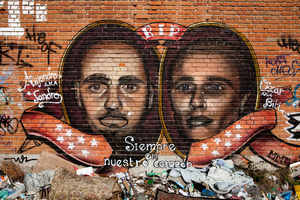 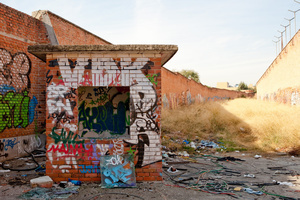 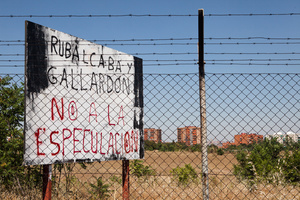 "Carabanchel" documents Carabanchel´s former prison, its history and its nearby community. 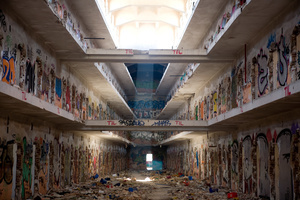 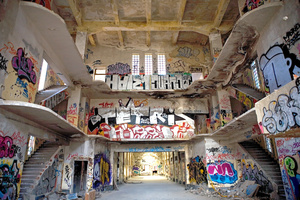 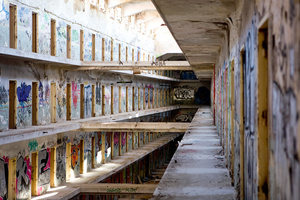 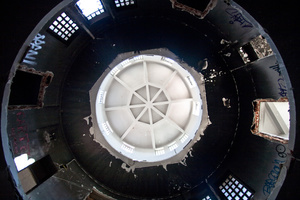 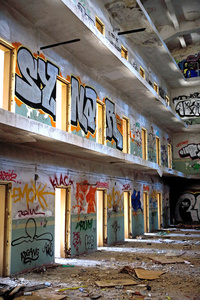 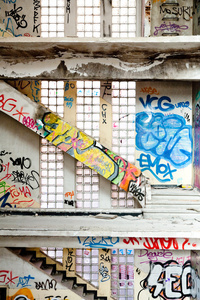 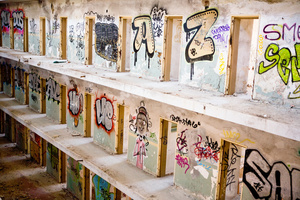 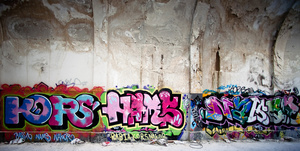 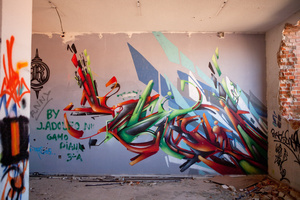 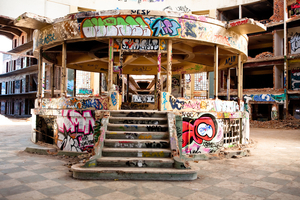 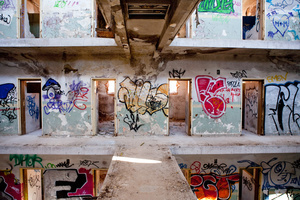 It gives a view into the famous prison’s unique architecture as it was altered by dozens of graffiti artists. 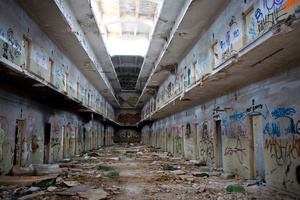 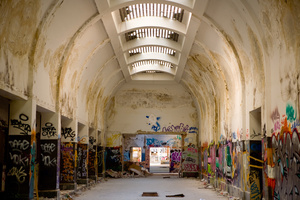 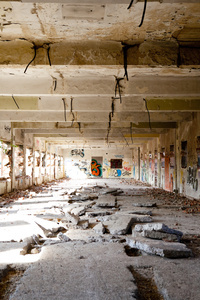 In October 2008 I photographed the interior of the former Carabanchel prison in Madrid, one of the most infamous architectural landmarks from Spain’s decades of dictatorship. 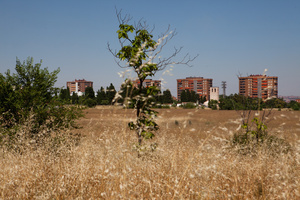 General Francisco Franco ordered construction of the complex in the 1940s to house the regime’s many political prisoners. 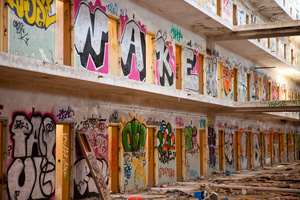 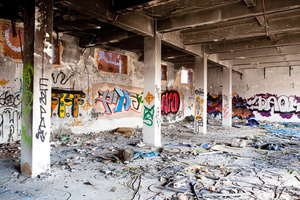 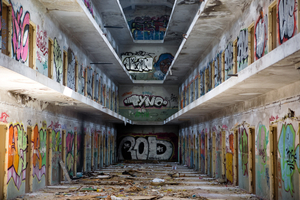 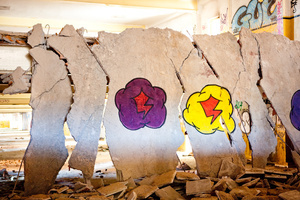 After the prison was finally closed in 1998, the building became a haven for squatters, graffiti artists, and curious visitors. 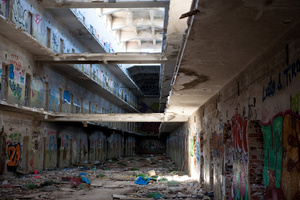 A month after my visit the entire structure was demolished to make way for a new urban development.